After a summer (the whole year thus far, really) of very nice weather it’s finally raining regularly. The heat has been killed off, and the mountains are shrouded in clouds like they’re supposed to be. Life is good. 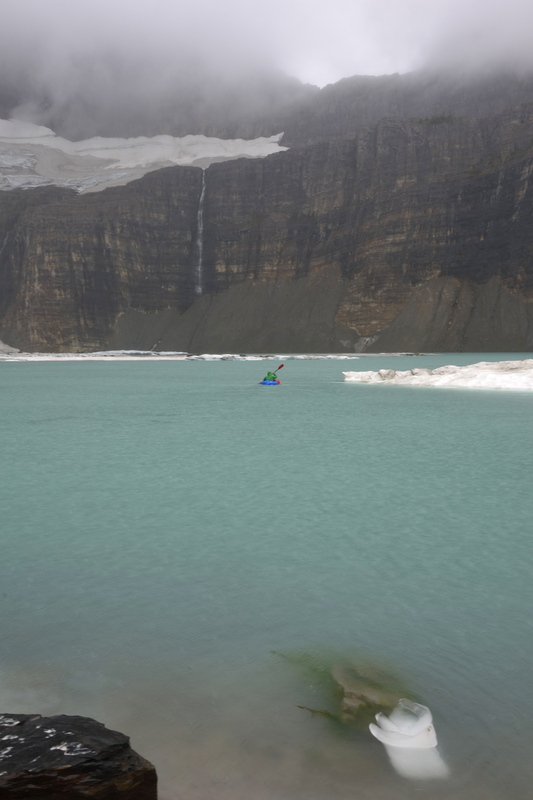 A quest to packraft around upper Grinnell Lake was mostly foiled by rain, as we got drenched and fled downward trying to shake the cold. In the last three years my body has undergone some serious re-programing. 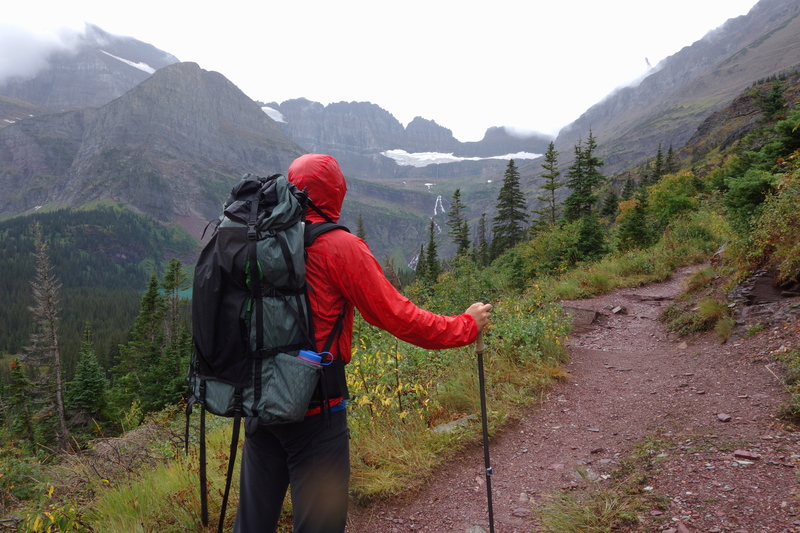 I’ve bulked up, both as a byproduct of carrying packs a lot and as a cold-fighting strategy. It works: after 10 minutes hauling down the trail and stuffing my face with chocolate I warmed right back up, while M was fighting the screaming barfies off and on for 30+ minutes. My element is no longer fighting the heat, and it felt right to be back in 45 and raining. The latest toy which doesn’t go bang is the Paradox Packs Evolution packframe and system, in for a flogging a review for BPL. The schedule only allowed for a shakeout dayhike, being a huge dork hauling a big pack of marginally necessary stuff. I’ll just say that two days of use only slightly removed from carpet testing has me very happy I’m taking this thing out in search of elk next week. The design shows immense promise. More in the thread linked to above.